No, Grandma wasn’t vegan. She never even heard the word. However, that doesn’t mean her pie can’t decide to be. 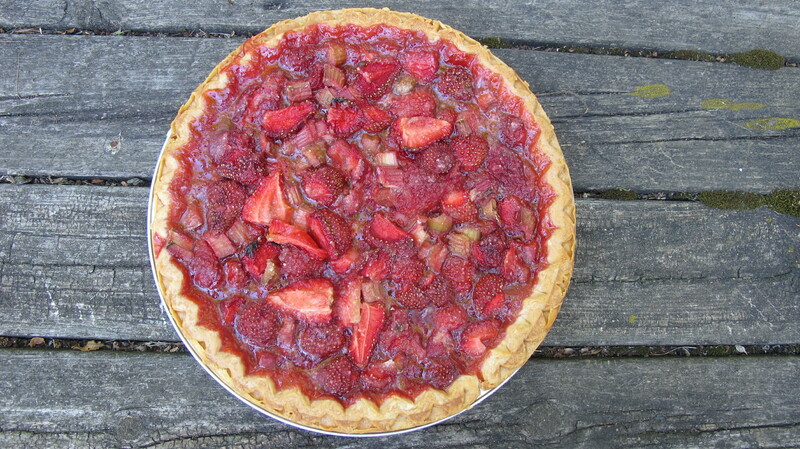 This strawberry rhubarb pie, adapted from an old-timey recipe, is the perfect evocation of sweet and sour. To make it easier on you, find a vegan pie crust. Don’t get me wrong…this isn’t health food. The Marie Callander crust I used has hydrogenated vegetable oil and healthy living advocates would not approve of the refined sugar; but hey, you gotta relax the rules a little in June. Preheat oven to 400 degrees. Combine all ingredients (except the Earth Balance) in a large bowl. Pour into frozen 9 inch pie crust. Chop the margarine into small pieces and dot the top of the pie. You can cover the edge of the pie crust with a shield or some Reynolds wrap, if you like. Bake at 400 for 15 minutes. Then reduce the heat to 375 degrees and bake for another 45 to 50 minutes, or until the pie is bubbling and the crust is golden. Remove and let stand for 15 minutes. Serve with coconut vanilla bean ice cream. 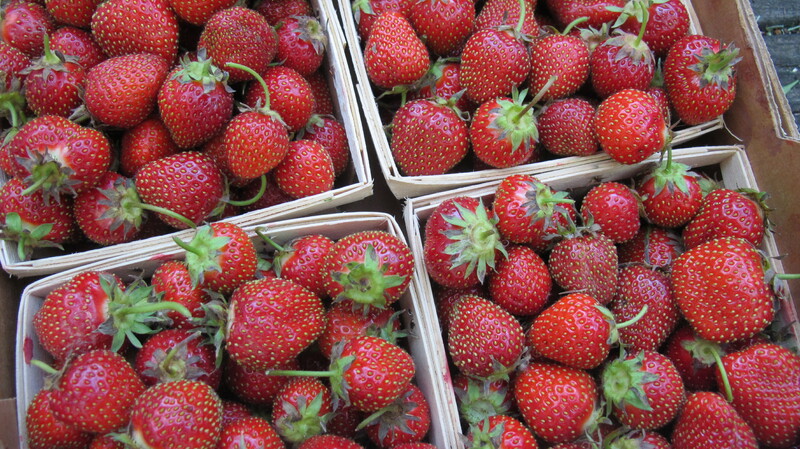 You could also make this as a topping for yogurt or ice cream by baking it alone without the crust. Or you can make it as the innards to a crumble, using the earth balance to mix with some chopped nuts, oats and—surprise, surprise—a couple more tablespoons of brown sugar. I’m not sure, but it might make a good facial, too. Just eat it afterward. Letting this dish go uneaten is a crime against nature. The point here is that you will love it. It’s the poster child of a Michigan late spring, with its tangy lemon-zesty sweet and sourness and you should savor every moment of it!